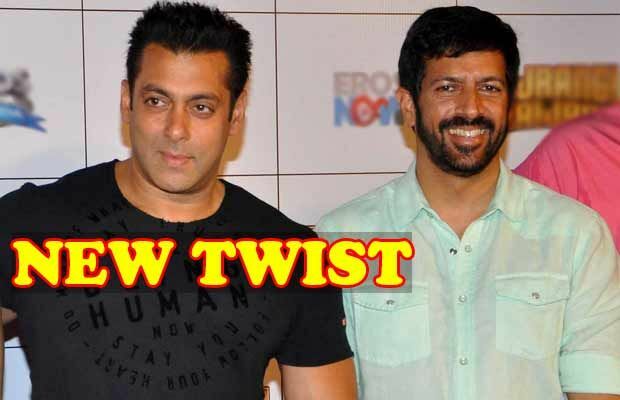 Bollywood’s fantastic director Kabir Khan who has given us movies like Kabul Express, Ek Tha Tiger, Bajrangi Bhaijaan, is ready to team up again with Salman Khan to do a third movie with him. It was said that Deepika Padukone will be opposite Salman Khan for this flick and later there were reports that suggested maybe Katrina Kaif will be a part of it and there was a report which even stated that Deepika Padukone is curious to know her role and she will do a movie opposite Salman Khan only if her role is important and not just for the sake of doing another film. But, now we know that Salman Khan will have no leading lady in this movie which Kabir Khan will be directing and there will be no villain also. Shocked! No leading lady, no villain, only one man army called Salman Khan. It’s also said that, other than Salman Khan, the maker are keen to cast a Chinese child actor and Salman will have a brother in this movie instead of romancing any of the Bollywood beauties. We wonder what will be the story of this upcoming flick by Kabir Khan. No doubt, he is a fabulous director but no leading lady, no villain, just Salman Khan, his brother and a Chinese child actor. It’s already making us curious to know more and we know we will have to wait and watch for more developments happening on this flick.